What in the World is an Under-Sleeve? Interweave owns the rights to a number of 19th-century needlework books and pamphlets, and let me tell you—they are FASCINATING. And sometimes comical, sometimes puzzling, to the modern crafter. I’ve been reading excerpts from Peterson’s Magazine, dated 1862, and there are some gems here. Interweave published a number of knitting patterns from Peterson’s in the ebook Piecework Presents: 12 Knitting Patterns from 1862. This collection reproduces the content of the original publication exactly; you’ll find black-and-white illustrations of the finished projects, and knitting instructions—but no explanation of what the item is! I guess women in the 1860’s knew what a sontag and an under-shawl were and roughly what size they would turn out when they knitted them. 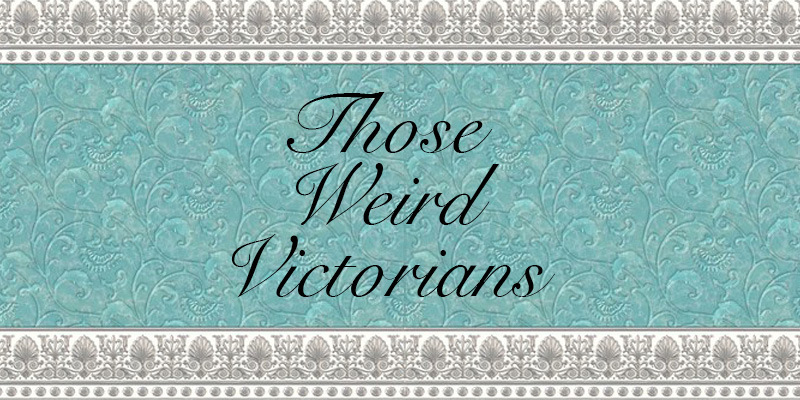 It’s basically a Victorian-era armwarmer? With puffed sections? It’s the phrase “under-sleeve” that throws me…would you wear this big puffed “elastic” thing UNDER YOUR NORMAL SLEEVES? Is the puffed shape intended to mimic the puffed sleeves of sewn dresses at the time? 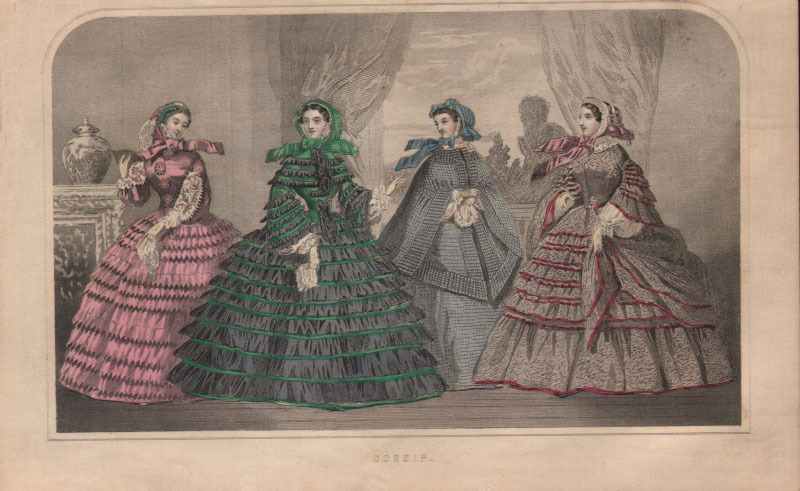 Here’s an illustration of American dresses from the Civil War era; perhaps you could fit a knitted under-sleeve into one of these big puffy sleeves? I’ve marked this page in my Peterson’s for further research—I am curious about the use of under-sleeves. If you know anything about this “pretty and warm article,” do let me know in the comments! 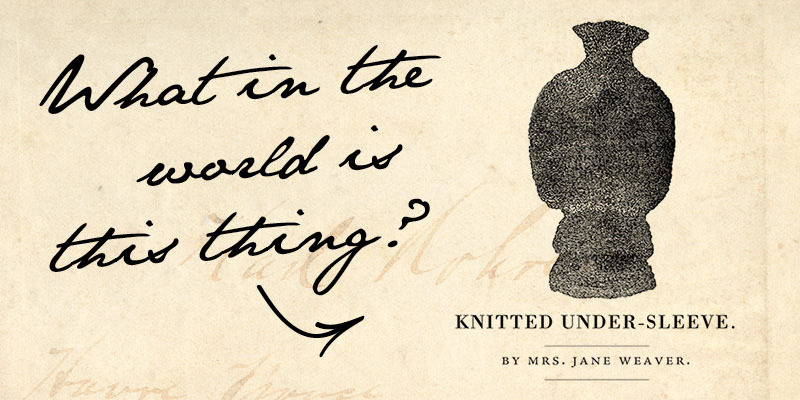 You can download your own bit of quirky knitting history today—get your own copy of 12 Knitting Patterns from 1862 and enjoy the mysteries of handknits from nearly 160 years ago! Download Patterns from 1862 today!